exFAT (Extended File Allocation Table) has been introduced since early 2006. It was a noted improvement over the FAT32 standard that existed at the time. 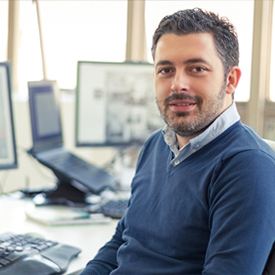 However, if there are some issues in the file system, you may have the change of losing data. That's why we start the topic of "exFAT data recovery". Why exFAT? What Makes It so Usable? exFAT performs many functions and changes many of the rules for file name conventions that up until its introduction were a constant stumbling block for both users and developers alike. The improvement over FAT32 was noticeable enough that companies like Apple, Google and Samsung purchased licenses from Microsoft and used exFAT imbedded in their products. Seamless interoperability between Windows and macOS platforms (for files over 4.0 GB). Increased possible size of disk partitions from the 2TB FAT32 standard to a possible 512TB. Increased limitations on number of files per directory. Introduced a free space bit map, increasing free space allocation and delete performance. Timestamp granularity of 10ms for create and modify, shaving 2S time from the same process in FAT32. The most significant change was to allow files that are greater in size than 4GB. Think HD video recording and streaming. Without exFAT watching video by streaming just wouldn't be the same. What if you lost files from an exFAT file system? You might think that getting your file back in tact was an impossible task. After all, it is difficult to see and view for the average user trying to manipulate data files they aren't used to. However, exFAT files are totally recoverable using AnyRecover's Lost Partition Recovery Function. AnyRecover is an intuitive application that allows you to perform exFAT data recovery with the greatest of ease. Never will you suffer again trying to recreate files from notes or worse yet from your head! AnyRecover is a lifesaver that no one should be without! It comes rich with bold features that allow you to recover unlimited data amounts in various file systems, formats and locations. It is simple, user-friendly and just the right tool for the job! Of course step one is to download AnyRecover to your computer! Follow the download directions to get going and recover your deleted files. Once you've downloaded the software and gone through the registration process, you are ready to go! 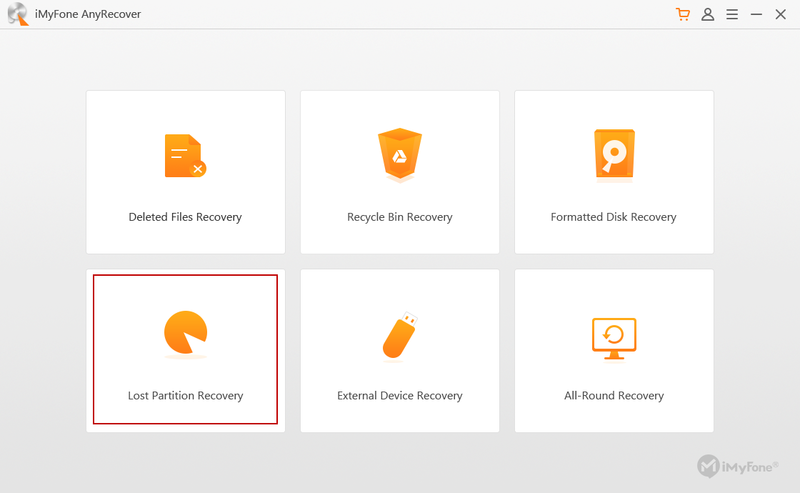 Head to AnyRecover's Lost Partition Recovery Function and let's get started! Step 1. As AnyRecover scans your hard drive, a list of partitions appears in the dialog box. When the scan finishes, select the partition to recover by clicking on it. If you do not see the partition you are looking for, try "Overall Scan Your Partition" from the link at the bottom of the page. Step 2. Select the file type to recover and click the Scan Tab. Step 3. 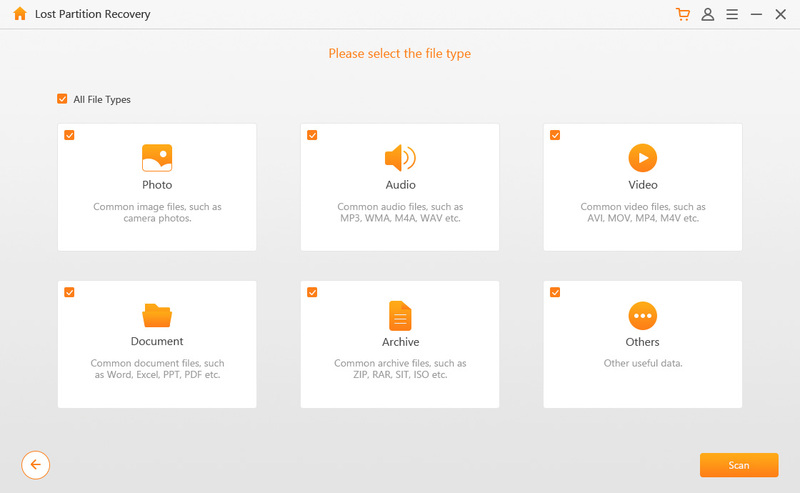 Select the files to recover and choose a partition to recover the files to, i.e. not the one that was previously lost and click Recover. It is only possible to recover one partition at a time. You can select file or tree view to preview the files before recovery. Make sure that you do not save recovered files to the same partition that you previously lost. If Lost Partition Recovery didn't find your files, return to the main menu and follow the procedure for All Around Recovery. What If You Lost Data from SD Card? 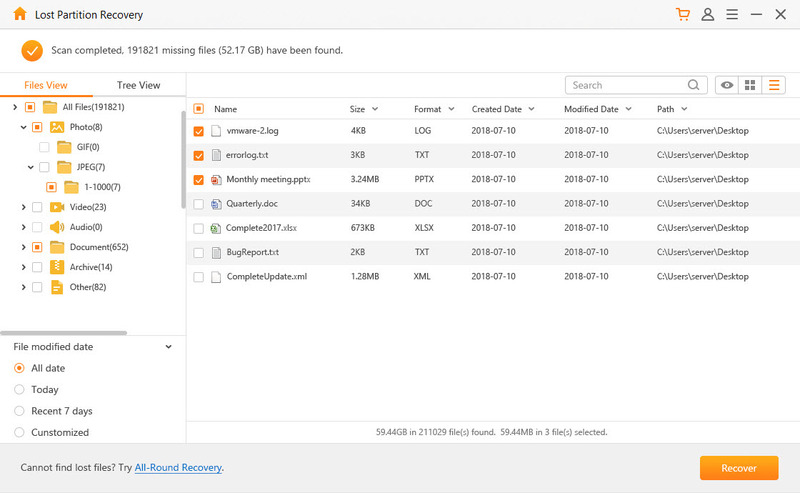 Hey, did we mention that AnyRecover is an excellent resource to recover data from SD Card/USB Flash Drives? Utilize AnyRecover's External Device Recovery option for SD Card/USB Flash Drives and get back what you lost today. No panic, no unnecessary calls to IT! Just get it done! With AnyRecover rest assured that you can recover your files in time for the big meeting and no one will be the wiser that you deleted something so important in the first place! And here's the best part, we offer a free trial so that when you purchase AnyRecover you already know how well it works.